Click points on the map above to learn more about each winner. Red indicates 1st place winners, blue indicates 2nd place winners, green indicates 3rd place winners, and yellow indicates winners that placed 4th through 10th. This information is also included at the end of the story below. Looking across the winners in this year’s Digital Cities Survey, it’s easy at first glance to perceive a fragmented technology landscape. Tech initiatives among large and small municipalities ran the gamut from security enhancements to mobility efforts. Cities moved resources to the cloud, pushed for greater data transparency and looked at ways to leverage broadband assets. All over the map? Perhaps so, but there are nonetheless some common themes that unite this year’s winners. Across the winning cities, IT leaders are looking at ways to make government more efficient, more effective and more responsive to citizen needs. They pursue technology not as an end in itself but as a means to an end. L.A. Mayor Eric Garcetti doesn’t want to talk about gizmos and apps. He wants to solve problems. In practical terms, the city recently launched the Data Science Federation, a partnership with 12 local universities focusing on homelessness, among other issues. The city invested in a new chatbot project for citizen engagement and launched a cybersecurity training initiative aimed at local businesses. Looking ahead, Garcetti said he wants to further explore artificial intelligence (AI) and chatbots for better citizen services, and to push harder on the homeless problem. “We are going very deep into data and geography and mapping, trying to use technology to learn the biographies to people living on the streets and to cater our response to homelessness in a very personalized way,” he said. CIO Peter Wallace envisions the city of Virginia Beach as a top-tier player in the broadband business, and he’s pushing hard to make that happen. The city recently became the U.S. landing point for a 169-terabit trans-Atlantic fiber cable from Spain, and another from Brazil will anchor there shortly. This opens up big possibilities. Powered by this massive connectivity, “we want people building data centers here. We want ISPs to come closer to the landing spot. We want to make this a driver to create that kind of ecosystem,” Wallace said. The city can’t legally compete with telecom providers like Cox Communications and Verizon, but it can use the new fiber to shore up its own infrastructure and then leverage that as an economic driver. Officials already have spent $4.1 million installing what Wallace refers to as a next-generation network, with dark fiber ready to deliver to potential users. Virginia Beach alone might not have the needed infrastructure to support all the potential users, so Wallace’s team is partnering with jurisdictions throughout the Hampton Roads area to pitch the entire region as a broadband destination. “We can leverage the region, we can tie up to each other with our own fiber networks, and that expands our marketing capability,” he said. In addition to leveraging the new fiber, Wallace has his IT experts pursuing other avenues to enhance the civic tech scene. He’s especially interested in the possibilities surrounding artificial intelligence. Today citizens interact with the city either by phone or computer keyboard. At home, they can ask Alexa for tomorrow’s weather from across the room and get an answer. Wallace wants city services to work more like that. In Cape Coral, Fla., two major themes have emerging in IT over the past year. For Director of IT and CIO Michelle Hoffmann, security and transparency have topped the to-do list. In this city of 180,000, Hoffmann recognized the escalating threat inherent in government systems and moved to shore up the defenses. “We were not as focused on security when I got here two years ago. We only had one person doing it part time,” she said. The current environment called for something more robust, and she moved to install two full-timers dedicated to security. Hoffmann’s team also devoted time and energy to making city data significantly more transparent. “We were selected as one of the ‘What Works Cities’ by the Bloomberg organization. As part of that, we put together an open data plan where we now publish 60 or 65 open data sets, from financials to permits to where our trees are and what kind they are. You can see where fire hydrants are and where the weirs are located on the canals,” she said. It’s been the year of the cloud in Lynchburg, Va., as Director of Information Technology Mike Goetz ported the city’s calendaring and email systems from Lotus Notes to Office 365. “We went to the cloud for a lot of reasons. It has helped enable mobile, it helps people to work outside the office,” he said. Cloud also has wildly expanded the city’s access to data storage. “Everybody used to have pretty small mailboxes. Now everybody has a large mailbox and we have huge data storage for personal and group use. That means there’s more teaming, more sharing of documents on projects. The move cost less than $100,000 and while the transition has gone smoothly, Goetz has had to devote some resources on the end-user side. “User education has been a challenge. It has been received positively across the boards, but it does take a while just to bring everybody up to speed. We have 1,300 employees, and it takes some effort to have them all be comfortable,” he said. While cloud has enabled easier mobile access to things like email and calendars, the city has also been pushing mobility on another front, enhancing technology for its various field workers. “We have put a lot of emphasis on equipping public works, our water resources department, our building inspectors, giving them either tablets or smartphones with broadband connectivity,” Goetz said. Last year also saw the city roll out a sweeping interdepartmental document-sharing effort. In Tamarac, Fla., pop. 65,000, the past year saw a flurry of simultaneous IT overhaul efforts. While it may seem overwhelming to tackle a major ERP conversion, a broad hardware replacement and mobile-device refresh all at once, the city’s IT chief said the coordinated effort made sense. New network infrastructure, new phones and new mobile devices all allowed the city to gain best advantage from its new enterprise resource planning system, said Director of Information Technology Levent Sucuoglu. Vendor SunGard (now Superion) led the $1.9 million replacement effort, which brought the city up to speed with Windows and a SQL database environment. “Now it blends in with our desktop use. It provides a dashboard that shows at any given moment an employee’s tasks, the relevant information about their jobs,” Sucuoglu said. At the same time, the city took on a massive IT hardware refresh, swapping out every desktop, laptop and mobile device — some 250 units in all. The city moved to hybrid touchscreen mobile devices, upgraded its virtual server environment and replaced the phone system. All these changes had been on the books as part of a master 10-year IT road map, and the fact that they all came together at once actually had some advantages. All components in one way or another interfaced with the ERP, and so the upgrades in effect allowed the city the leverage its ERP investment to best advantage. “We wanted the new ERP system to have an environment in which it could function and perform as expected. It’s a package. If your network isn’t there, then your data center performance doesn’t change. It all ties together,” Sucuoglu said. Los Angeles handily maintained its first-place spot in this year's survey, building on the initiatives that led to its 2016 win as well as introducing new work that further emphasizes the city's focus on improving life for Angelenos. 2017 saw the official launch of the Data Science Federation, a partnership between the city and 12 local universities, which engages 155 data scientists to work with L.A.'s wealth of open data. One major priority is to improve conditions for the city's 28,000 homeless through amenities like free Wi-Fi at two major encampments at no cost to taxpayers, as well as harnessing predictive analytics to pinpoint citizens at risk of homelessness. This year L.A. invested in chatbots for citizen engagement and continued to expand MyLA311, which now includes 48 service request types. The city now sees one-third of its 1.5 million annual service requests made online. The launch of the LA CyberLab, the nation's first at the city level, expanded security training to businesses throughout the region, improving resilience for the community as a whole. In that vein, L.A. released its second Sustainable City Plan, tied with Mayor Eric Garcetti’s lead of the Climate Mayors, a group of 372 elected city leaders pledging to uphold the Paris Climate Accord. The Information Technology Agency supports this through tools to help both make a difference in the city's environmental impact, as well as to measure data on temperature changes as a result of those efforts. This year Albuquerque leapt from sixth place to second, an improvement reflective of its commitment to citizen engagement and open data, and to ensuring all city services are relevant, transparent and efficient. At the forefront of Albuquerque's efforts are its online "city-as-a-service" platform through which the Department of Technology and Innovation (DTI) strives to make every city service available online and via mobile devices to meet residents in the digital world where they increasingly live. In partnership with Bloomberg's What Works Cities, Albuquerque is effectively harnessing its open data to make government as accessible for citizens as possible. The ABQ311 app is the city’s core engagement tool, but it is currently developing MyABQ, a single mobile app that will bring together all the city's online services. This year Albuquerque also created the ABQPolice app, which lets citizens remotely file non-emergency police reports and chat with crime analysts at the Real-Time Crime Center, cutting down on calls to 911 and letting law enforcement respond to priority calls more quickly. The crime center is also part of Smart City Albuquerque, which brings services to improve citizen lives like smart infrastructure, as well as an investment in a citywide gigabit network that will be the backbone for next-generation apps, and a project to lay fiber broadband along its "Innovation Corridor" as part of the Albuquerque Rapid Transit project. San Diego earned its place near the top of the heap in the large population category this year through a series of leading practices. Its open data portal, for example, provides info for download or via an application programming interface (API), and it's far from a one-and-done effort. Updates occur in a timely manner, in part because they're automated using tools first built for home-sharing site Airbnb. The data portal itself is open source, and developed entirely by city staff. Other recent efforts supporting a transparent organization are the StreetsSD road condition tracking tool, the aptly named Get It Done service request and tracking tool, and the addition of performance dashboards to Perform SD. More than 40 percent of San Diego's 200 key performance indicators (KPIs) are now represented, with another 20 percent on the way. The city also offers a hard number as evidence of its cyber-readiness. BitSight, which rates organizations' security for insurance companies and other purposes, puts San Diego in the "advanced" category, more than 100 points higher than other large cities. Its comprehensive strategy consists in part of around-the-clock monitoring and remediation, and the staff training program has reduced incidents of phishing and malware. Fostering a culture of innovation also emerges as a clear priority for San Diego. A recently launched Operational Excellence (OpEx) academy builds on an earlier program seeking ideas from employees to save money and maximize efficiency. So far, more than 300 employees have received training in the Performance and Analytics Department’s academy alone. Notable achievements receive special recognition and cash prizes. Holding steady in fourth place again this year, Charlotte, N.C., is involved in an interesting analytics partnership with the University of North Carolina through the System for Observation of Populous and Heterogeneous Information (SOPHI project). Charlotte 311 specifically will offer five years of Twitter data for analysis, to determine how the social media data might be better used in the future to respond to events that cause a spike in 311 calls. Officials also plan to conduct more detailed analyses of citizen interactions with the city via social media in other areas, and Charlotte continues to hone its social strategy to reach citizens as effectively as possible. Charlotte's early efforts to institutionalize innovation with tech include a modest discretionary fund of $500,000, but staff hope to grow that by setting up a formal innovation program with increased dedicated funding. Internet of Things devices are also on the minds of city officials as they plan for the future, with several notable uses already underway: Smart trash bins are solar-powered and equipped with sensors to streamline collection activities; solar-powered, charger-equipped benches are starting to crop up in city parks, gathering environmental data via sensors; and interactive, informational kiosks are coming soon, offering lighting and Wi-Fi without impacting the city's budget. The City of Brotherly Love holds on to its top five ranking this year, thanks to its ongoing efforts to align technology with the mayor's policy goals for education, health, the environment, efficiency, place of choice and public safety. Backing this up is the city's $124 million investment of capital funds in infrastructure improvements as well as the replacement of legacy systems. This includes the deployment of a broadband institution network that will upgrade bandwidth at hundreds of public safety and health facilities around Philadelphia. The city gets high marks for its open data policies, which include 311 data sets that have been leveraged using visualization tools such as Greenworks, which supports sustainability. Transparency also receives close attention and the city is scrutinizing an open checkbook proposal for municipal spending. Shared services are another high priority and the city has put resources into a variety of programs that address everything from low literacy, building vacancy and email. In addition, the city has boosted efficiency with the launch of its new e-procurement system, which has increased the number of bidders by 31 percent while reducing processing time by 15 percent. 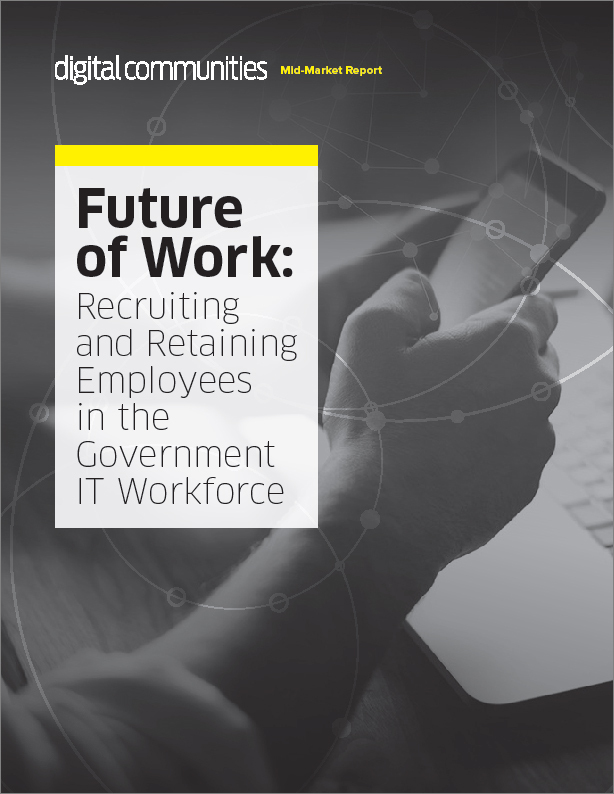 Finally, the city is addressing IT workforce challenges by increasing its training budget and focusing on a range of issues that have reduced the city's worker attrition rate. In Louisville, information technology is a central component of Mayor Greg Fischer's data-driven agenda, causing the city to surge to fifth place in this year's ranking. In the past two years, the city has increased IT spending by 18 percent, a result of significant investments in public safety, as well as infrastructure and digital platforms overall. The city has boosted Internet connectivity to more than 60 government facilities and has spent $6 million on replacing legacy work order, permitting and customer service systems. Louisville has a robust open data policy driven by a 60-person, cross-departmental committee that has opened up data and led the provision of more application programming interfaces (APIs) for programmatic access. Louisville's platform overhaul has boosted mobile applications that touch the city's 311 services, parks and recreation, public safety, as well as community engagement. Louisville has received national attention for its efficiency efforts through its LouieStat performance management program that uses data and analytics to improve the performance of business processes. The city's digital strength is reflected in the fact that, this year, the city placed second in the Center for Digital Government's Government Experience competition. Unprecedented population growth means Denver must be both nimble and thoughtful in how it deploys technology and services. From trying to improve citizen access to services like 311 to deploying a new enterprise resource planning (ERP) system, the mission is secure and accessible government. Open data and connectivity for all residents is a priority for the city and county. When it comes to mobility, citizens and staff are given the tools they need. A mobile app with a suite of functionality assists residents, while police and fire are outfitted with the technological tools they need to effectively respond to emergencies, and 911 systems have been upgraded to receive texts from mobile numbers. In the near term, officials hope to roll out a mobile digital fingerprint to help officers identify persons of interest in the field. Through shared services partnerships, the city and county have made several advances in both the services they offer and the overall quality of life in the region. Two examples of this are found in the cross-agency cooperation around liquor and marijuana licenses and permits, as well as the digital public engagement platform, Denveright, which focuses on future land use. Looking ahead, Denver has its sights set on other collaborative opportunities, like the investment in a 300-mile fiber network partnership with Public Works Transportation and Mobility. On the daily operations side of the house, Denver can also be commended for its practicality. This year the local government worked to streamline its computer support plans. In 2016, IT spent 258 hours fixing crashed computers, so it changed tactics, allowing for more proactive monitoring at no additional cost. Additionally, the city's Peak Performance team has helped to identify process improvement opportunities in multiple agencies that have amounted to $9 million in hard savings and $16 million in personnel time savings. When it comes to the Internet of Things (IoT) and artificial intelligence (AI), Denver is seeking opportunities to use both. IoT will likely find a place in the region's smart cities plan, and AI is being looked at for its analytics and chatbot potential. Like the other cities on this list, Seattle's reputation for forward thinking precedes it. A growing population, as well as the growing reliance of that population on the Internet, has formed much of the city's mission when it comes to digital equity and online literacy. City officials have outlined five key goals: a smarter, data-driven city; digital equity; an improved public experience; privacy and security; and service and system maturity. Last year, the city consolidated its IT functions into one cohesive department, the Seattle Information Technology Department (Seattle IT), to better meet these goals. Through the use of updated infrastructure and mobile devices, city staff are better prepared to work in the field or at the office. And these improvements show in places like Seattle City Light, where fleet vehicles are equipped with modern GIS-enabled tools as well as pre-/post-safety check technology. Where the city is able to collaborate, partnerships take the shape of conferences with neighboring universities, like the recent Big Data and Human Services conference, and in areas like emergency communications with county-level partners. In addition to a substantial cybersecurity framework, the city is protective of its citizens' privacy — which is best illustrated in a new surveillance ordinance that allows people to opt out of data collection practices as well as a list of technologies that can be used to track people. As for the Internet of Things, the city is already looking at a number of use cases, including traffic flow, parking availability and research sensors. Boston is known nationally, if not internationally, as one of most consistent front-runners in civic and government technology. In addition to making substantial strides in opening and maintaining data sets for public consumption, the city is also focused on digital equity and bridging the broadband gap. Data projects, like Analyze Boston, keep the residents involved in solving the issues present in their city, while programs like RentSmart assist homeowners and renters with information about properties. This drive to communicate and share has manifested internally as well as externally, through social media campaigns and more focused efforts. But Boston also pays careful attention to cybersecurity and best practices. Recently the city created a Cybersecurity Liaison position to better coordinate across the Metro Boston Homeland Security Region, which includes eight other municipalities. Similarly the city also hired an identity and access management director, charged with improving the city's standing over the next 12 months. When it comes to measuring the health of the city, tools like CityScore allow a quick and in-depth look at key performance metrics. Looking to emerging technologies, the city is already using the Internet of Things to monitor air quality and noise pollution and is working to implement traffic-flow cameras to give it the data it needs to work on alleviating congestion. The city is using artificial intelligence to improve its 311 call system and self-driving cars and smart streets are currently being tested. Phoenix has maintained its open data and transparency efforts, adopting an official open data policy in 2014 and launching a central Web portal with a variety of data available for browsing, including GIS data, property information and real-time transit data. IT Services has also worked to make its Web presence more accessible, expanding translation options from eight languages to 58 and making site navigation easier for people using assistive technology. The city has set up technology to help citizens report issues and is working on defining departmental performance metrics and setting up dashboards to track them. Phoenix has put considerable effort into beefing up its cybersecurity. It provides mandatory annual employee training to prevent phishing; cooperates with county, state and federal organizations to share information; uses third-party services for threat detection and denial-of-service attack mitigation; and also conducts regular penetration testing and vulnerability scanning. Staff have crafted a three-year strategic plan outlining further steps to take, including increased perimeter protection and privilege access management. On top of it all, it has cyberinsurance in place. The city is also making some big moves on the communications front, procuring a multimillion-dollar unified communications system that will bring in new phone technology and allow employees to have 4GLTE as a backup for phone service. Last year, Austin jumped from 10th to fifth place, and while the city backslid three spots this year, Texas' capital has laid track for significant future gains. Austin's city council started work on a strategic plan for the next three to five years. In parallel, Austin IT officials developed a new IT strategic plan, one that emphasizes modernizing core technologies, open data, and making it easier for tech companies to do business with government. More tangible progress since last year's survey includes Austin's newly hired chief information security officer launching a comprehensive governance effort that includes representation from a variety of city stakeholders. It's a move to standardize on architecture and policy, as well as shore up cybersecurity after 2017 set a high-water mark for newsworthy digital breaches nationally. Austin, long an exemplary city in open data, continued progressing there as well, ranking fifth in the U.S. City Open Data Census from Open Knowledge International, a transparency advocacy group. One significant data effort was Property Profile, a visualization with 200 layers currently in beta that answers questions about properties and development regulations, a particularly timely map given that Austin recently underwent the first major rewrite of its development code in three decades. Another notable data effort is Open Budget ATX, an easy-to-use platform detailing the city's budget. Austin, whose growth over the past decade has propelled it to the 11th most populous city in the country, is also partnering with smart city consortium Austin CityUpUp on a number of projects, citing housing affordability as a priority amid the growth. San Jose lands in eighth place in 2017. By its own admission, the city is emerging from a "decade of deficits," wherein financial struggles led to underinvesting in tech. The mayor has, however, laid out a smart city vision aspiring to make San Jose the country's most innovative city by 2020. It's not there yet, but a commitment is taking hold. One of the city's headlining efforts in 2017 was the creation of My San Jose this summer. It's most noteworthy feature is automating service requests throughout the city, thereby showing users where requests are in real time. My San Jose also delivers push notifications when requests have been completed, and it features a user-friendly design that allows developers to continue adding service types. My San Jose joins other new open data efforts such as data-driven house inspections and homelessness prevention. This year, San Jose also had a smart transportation RFP approved for early stage autonomous vehicle piloting, a potentially vital tool for alleviating traffic. In terms of cybersecurity, the city is making great strides to refocus their efforts to raise priority and emphasis. San Jose is working to hire a chief information security officer. The city's massive income gap, among the nation's largest, has also given rise to digital inequity, an ongoing challenge and priority for a city where 40 percent of residents with incomes below $20,000 have no household access to Internet. The city undertook measures to find a solution, including partnering with school districts on free outdoor Wi-Fi networks for students and other community members. Tucson took ninth place this year through the engagement effort of its PulsePoint CPR program, the value in its public safety customer relationship management (CRM) and other collaborations. PulsePoint lets CPR-trained residents register to be notified of Sudden Cardiac Arrest situations nearby. Alerts show details of 911 calls, maps to the incident location as well as any automated external defibrillator devices in the area. Tucson Police Department will connect with the public through SPIDR Tech's Engage, a CRM platform for law enforcement. The app lets residents make mobile reports and requests, and lets police reach the public with surveys, newsletters and updates via email or text. Elsewhere across the enterprise, Tucson's IT staff recently developed a new Property Research Online app, aimed at helping residents find planning and development services data including deeds, permits, documents, plans and zoning information. The city partnered with 55 area public safety and public service agencies through the Pima County Wireless Integrated Network (PCWIN), a tool that lets officials communicate by radio in real time over a single system regardless of jurisdiction. Sharing resources with Pima County has given both agencies increased bandwidth to improve fiber networks. Tucson has also stood up a 911 Emergency Communications center that circles in other police and fire personnel, while its computer-aided dispatch system handles calls for a variety of agencies. El Paso, the nation's 19th largest city, claims its top 10 ranking this year with a variety of engagement and mobile-first strategies. The city continues to expand its free Wi-Fi, now accessible on buses, in public buildings, facilities, libraries and some parks and recreation locations; and recently upgraded all city websites to a new content management system. During the next fiscal year, El Paso's department of IT services will also upgrade its core network with application-centric infrastructure. An online agenda management system, SIRE, streamlines creation of City Council agendas, as well as public access to livestream sessions, while City TV El Paso, the agency's award-winning municipal TV station, has livestream capabilities and programming available on YouTube. The city also rebranded its budget think tank initiative as "Chime In," allowing the public to make suggestions on how to save money or improve services. To ease understanding of its purchasing process, El Paso launched "Ask Laura," an artificial intelligence (AI)-powered virtual information officer, answering site visitors' questions on open bids and awards. Among the city's large selection of mobile apps are the 311 Mobile App, which offers mobile, multilingual service request and tracking capabilities, and a pay-by-cell app for remote payment of parking meters. Once again landing the top spot in its category, Virginia Beach, Va., is guided by a 10-goal strategy and IT staff play a defined role on each "goal team." Chief Information Officer Pedro Wallace leads the goal team tasked with enhancing livability, prosperity and sustainability using data and technology. This comprehensive governance approach can also be seen in efforts like the Open Data Board, which gathers department-level representatives to look for new data sets to add to the city's open data portal, as well as its application rationalization efforts that led to the Investment Review Board, charged with ensuring smart use of public dollars on IT projects. The city's IT and Human Services departments partnered with the state Department of Health on a data science project aimed at tracking the performance of benefits applications to make sure citizens are served as effectively as possible. Financial transparency efforts include apps like Balancing Act and Taxpayer Receipt, which fosters citizen engagement in municipal financial decisions and which they are building upon through the upcoming release of an interactive open checkbook. When it comes to cybersecurity, Virginia Beach has a solid strategy in place, with a number of recent upgrades, a practice of encrypting data at rest and a comprehensive staff training program. They are also getting close to buying cyberinsurance, after evaluating several quotes and making a multimillion-dollar budget request. Also on the horizon are an updated enterprise content management system early next year and a modernized enterprise resource planning (ERP) system that will automate certain functions and enable additional mobile and reporting capabilities. Durham, N.C., continues to rank high among its digital peers, with a second-place finish in this year's survey. Durham is realizing the benefits of its new IT governance model, in which projects are prioritized based on expected value versus risk and cost. In another sign of effective management practices, the city has adopted a project and portfolio management system, and the IT department is tasked with testing it before it rolls out enterprisewide. Durham is also making a notable move to the cloud, using Microsoft's Azure platform to migrate its servers over the next three years — a strategy it arrived at after evaluating upgrade options to its on-premise data center. A companion move to Office365 for Durham employees is just getting under way. Last July, the city launched its "One Call" mobile app aimed at simplifying citizen-government interactions, allowing residents to easily track service requests and obtain information. Transparency also shines as a priority for Durham, with more than 120 data sets available on its newly redesigned open data site, along with a GIS data portal and many other tools. The city hired an open data program manager to increase engagement with its data, and it’s paying off: Durham reports an average of 140,000 application programming interface (API) "calls" per month on its publicly available data. Greensboro, ranking third in this year's survey, was one of 10 cities invited to participate in Envision America 2017, a workshop focused on developing smart city initiatives. Gate City Boulevard was identified as an ideal testing ground for emerging technologies including high-speed wireless, interactive kiosks, smart water meters and lighting. The four-mile corridor will also deploy state-of-the art signal controls, advanced bicycle and pedestrian detection and other sensors to support vehicle-to-vehicle and vehicle-to-infrastructure communication. Open City Gate, Greensboro's open data portal, includes numerous data sets such as GIS, human resources and housing and development. The city also plans to implement a GIS Big Data Store within the next 12 to 18 months, integrating live feeds from Waze. Mobile progress includes the Greensboro Open Budget App by Socrata, preparing to launch this year, as well as the TransLoc Rider app that allows real-time tracking of city buses. Parking meters can also be paid via mobile devices via the Parkmobile app. The city is also working jointly with the city of High Point and Guilford County to develop a mobile application, to be released in 2018, that will allow users to search for parks and trails based on available amenities, distance or location. Greensboro has also prioritized public engagement using a platform that allows the city to frame questions, propose solutions and gather feedback in real time on topics like libraries, transportation, parks and recreation and planning and development. The city is also negotiating the implementation of Citibot, which interactively connects citizens to their city government in real time by integrating with text message, Facebook, Twitter and other apps to answer citizens' questions, enabling them to crowdsource city issues like potholes, broken traffic lights and signals, trash pickup and more. In March 2017, the city adopted its Digital Equity Strategic Plan to demonstrate its commitment to digital inclusion and maximize access to technology for all residents. The plan has six major components: 1. Consumer use of the Internet, including access to broadband, 2. Internet for the learner, meant to encompass educational purposes, 3. Use of the Internet for the digital citizen, 4. Internet use focused on employment purposes, 5. Using the Internet for entrepreneurship, 6. Collaboration around access, which includes digital inclusion efforts, sharing and participating in digital equity efforts within and outside of the city. A mobile application, developed within the last year, allows citizens to search city bids and requests for qualifications and proposals. The app allows citizens to access bid opportunities and supporting documents from their mobile devices as well as receive notification of new opportunities in specific categories. Kansas City continues to update its open data programs, adding a more modern data visualization engine to its portal as well as simple data exports to the mapping platform. The city's GIS system is now connected to the open data system. Also, featured content is now shown at the top of certain pages to help users find new and high-quality data. The city has also launched a chatbot to help users with open data. It was built to offer a conversational approach and queries the user on what they need. For example, if the user wants crime data, the bot will ask if the user wants a map or summary trends or completely raw data. The city's digital city strategy is a multiyear action plan that was established from more than 150 hours of interviews with management, subject matter experts, users and technical staff. It includes specific initiatives such as strengthening the economy and addressing homelessness through tools like the open data portal and the improved 311 division. The open data portal was launched four years ago as a landmark for promoting transparency and openness and underwent a transformation of sorts in 2017, as data was moved from the old system to a new GIS-based system, allowing for the ability to handle spatial data. The IT teams and several departments cleaned up the data, consolidated and migrated all data sets on the old system and transformed the existing data automation scripts to align with the new platform. The IT team received positive feedback from the community as evidenced by a surge of engagement from users. The site, which launched in May 2017, received 10,000 page views within the first month. The city's 311 call center incident information is also now available on the new site with live updates. The city also launched a new search website to provide the community with quick, relevant access to services from the city, county and other local organizations. The site is expected to provide a single portal for regional information and will minimize research time. This expansion will allow the city to more easily make informed, data-driven business decisions and provide consistency and transparency to the public. This year, Nebraska's largest city has made public safety the most important policy factor impacting its IT strategy. The city has deployed hundreds of police body and cruiser cameras, and has upgraded bandwidth to its precincts to ensure fast uploads of video data to its cloud storage facilities. Omaha has a robust ShotSpotter program, with audio sensors strategically placed throughout the city. All gunshots are recorded, mapped and entered into the Police Department’s crime analysis system. The city's Fire Department has deployed patient care documentation software, which allows first responders and medics to automate information collection and retrieval that is critical to Medicare billing. The city has also deployed next-generation 911, which comes with a number of innovations, including the ability to receive and respond to emergency text messages. In other IT initiatives, Omaha has launched a public-facing analytics tool for its open data portal to help residents better understand the city’s programs, policies and initiatives. The city has also boosted the number of mobile application capabilities that have increased workflow capabilities internally, especially for all GIS and location-based programs. When it comes to social media, the mayor and the city have taken a proactive approach to engaging with citizens through a redesigned Web portal, Twitter, Facebook and third-party tools, such as Nextdoor. Strategic planning can help a jurisdiction focus on its areas of weakness and strength, and the best ones ensure technology underpins the goals. Riverside, Calif., has a strategic plan that correctly aligns technology with its priorities. This includes modernizing existing IT infrastructure to improve efficiency and security, while ensuring that it supports the city’s economic development efforts. Specifically, Riverside has put emphasis on transparency, engagement, mobility and security — both for the public and internally. The city has also leveraged IT to contend with social problems, including a data-sharing project, launched through the Bloomberg What Works Cities program to improve the plight of the city’s homeless population. The city has an array of mobile applications, with the latest effort having several departments involved in reporting and tracking the cleanup of graffiti. Riverside has stepped up citizen engagement through its 311 services, which has fielded 1.4 million requests since its launch. The city has added a mobile 311 app and the underlying customer relationship management (CRM) platform has more than 83 interdepartmental users in more than a dozen departments. Collaboration is another key part of the city’s strategic plan and, in response, it has created an in-house platform called "The Hive," which allows for the development of more enterprise services and processes through collaborative teamwork. Chandler, Ariz., improved its Digital Cities rank this year guided by work on autonomous vehicles (AVs), an extensive public engagement effort and an equally expansive network of collaborations. In a multi-jurisdictional partnership with the town of Gilbert, the Chandler Police Department stood up a connected infrastructure in their joint holding facility. The city also recently completed a large fiber project at 10 fire stations. Active IT initiatives include AV testing and support with Waymo, Intel, Uber and others. Chandler is also working with Cisco Communications to implement a converged infrastructure and unified communications across data, voice and video in the next 12 months. Future plans include providing broadband and connecting municipal utility service facilities via Wi-Fi. The city also supports "connect" initiatives designed to convene neighbors and leaders to consider topics including the budget, neighborhoods, health and careers. Through its new Mobile Device Management Command Center, the city manages around 300 mobile devices and 160 apps. Residents can connect with the city via mobile to report issues including graffiti, weeds, abandoned shopping carts and other code violations. Chandler’s My Waste app connects residents to information and reminders on pickup and recycling. Plus, the city now has nearly 100 active social media accounts across 12 platforms, with content curated by its new Chandler Social Hub. On the security front, Chandler conducts ongoing training and "phishing" campaigns with employees to improve its cyberstance. It also maintains redundant disaster backup and recovery at multiple locations with site-redundant server virtualization environments. Long Beach, the Southern California port city of 474,000, held sixth position again this year, attracting notice for its collaborative perspective relative to technology. Among those engagements, the city's Technology and Innovation Commission worked to refine the new online engagement portal BizPort, funded by a Bloomberg Team grant and enabling businesses and investors to find information to seamlessly open a business. The portal won the Center for Digital Government's Government Experience Award in September for Government-to-Business Experience. The city is currently creating a robust campaign aimed at educating staff and residents via social media and local TV about cybersecurity best practices. The city is also adding a CISO position responsible for developing and implementing an integrated cybersecurity approach to ensure data and identities are properly authenticated, authorized and audited. Long Beach's open data government portal, DataLB, reveals statistics and information from all departments, letting users create new information, share insights and collaborate. This year the city's entire 2018 Proposed Budget was released via DataLB, which now features more than 80 data sets and more than 30,000 visits. And in response to research showing visitors are three times more likely to watch a video for information, 19 city departments now have active Facebook pages and regularly post video to 12 different YouTube channels. The Department of Atlanta Information Management had a prolific year, implementing 118 projects, including a CommuteATL website that aggregates traffic data, expanded Wi-Fi at the airport, and advances smart city tech to improve city life. While Atlanta has been financially limited due to the Georgia Legislature capping property taxes, the city’s tech initiatives still accomplished much, especially as they pertain to common gov tech goals like breaking down silos, fostering collaboration, and creating practical tools that improve residents' quality of life. One big success in 2017 was improving mobile devices used by city employees, 95 percent of which were upgraded, many from Blackberry to Android or Apple platforms. All told, more than 1,500 legacy devices were replaced, improving government efficiency in tangible ways such as police having body-cam apps and building inspectors being able to submit onsite evaluations in real time. Atlanta is also piloting citywide use of Microsoft Intune to securely manage mobile devices from a centralized platform. Atlanta was solid in open data, ranking in the top 25 on the U.S. City Open Data Census. Through the one-stop open data portal, U.S. City DataAtlanta, residents can now find info about everything from procurement to public safety. The city is also developing a single mobile app to submit service requests and has invested in Capriza, a program that makes browser-based applications mobile over a matter of weeks rather than months. Many of the city’s municipal sites were also redesigned for improved look and navigational flow. This year, Mesa, Ariz., ranked eighth thanks to collaboration with agencies such as local school districts, efforts to deploy public Wi-Fi and working closely with the economic development department. In service of that last initiative, Mesa has gone so far as to initiate a proof of concept for using existing city conduit and fiber to offer broadband service to businesses interested in locating downtown, a part of the city prioritized for development. Mesa is also making progress in open data, having created a portal in 2016. That portal has matured, growing in the past year from 94 data sets to more than 250. Residents have responded in kind, downloading or viewing those data sets more than 10,000 times and logging an average of between 266 and 408 distinct users each month — traffic many jurisdictions would envy. And while no plans are currently in place to launch a major smart cities initiative, Mesa notes that it has many of the elements in place to create one moving forward. In further service of engagement, Mesa added a chief digital officer in June whose job is partially to lead municipal social media strategy. The city has since established 97 social media channels with more than 250,000 users. Another position created in the past year was chief information security officer, which is dedicated to strengthening municipal cybersecurity, an ongoing concern throughout the country. Part of Cincinnati's success as a digital leader comes from strong administrative support, particularly from Mayor John Cranley, for the city's IT initiatives. Through the City Manager's 2017 EngageCincy Challenge Grant program, participants could win one of five $10,000 grants to develop and launch projects to better a specific neighborhood and the city at large. This reflects Cincinnati's commitment to innovation, which it is pursuing through a number of avenues, including releasing an RFQ for a public-private partnership to build a citywide 5G network. The high-speed broadband will provide not only better Internet access for residents and city staff, but also lays the groundwork for anticipated Internet of Things (IoT) projects. Cincinnati aims to be one of the smartest cities in the country in terms of municipal operations, including smart sewers and water meters, and emergency response development, among other innovations. To maximize citizen engagement, in December 2016 the Office of Performance and Data Analytics launched CincyInsights, a public-facing, real-time data portal with interactive dashboards that makes the city’s existing open data relevant, accessible and user-friendly so residents can track street paving, blight abatement, crime and social issues like drug overdoses. Henderson, Nev., made the top 10 in its population category for the second year in a row, in part due to its ongoing commitment to its IT Strategic Plan, each element of which directly aligns with an initiative from the City Strategic Plan. That plan will be revamped in 2018 to reflect Henderson Strong, a citywide plan adopted in July 2017 to grow Henderson over the next 20 years. In 2015 the city implemented an open data portal, and in January 2017 approved an Open Data Strategic Plan outlining the vision of the city’s open data initiative and expanding it to include three capital improvement projects. Henderson’s robust social media presence has boosted views across all existing pages by 17 percent, improving citizen engagement, and new social channels on Instagram and YouTube were created for specific departments like police and fire. Through a regional initiative, Southern Nevada Strong, Henderson’s officials and IT leaders are working with neighboring jurisdictions on smart cities initiatives around transportation and traffic management so citizens have a seamless transit experience as they travel throughout the area. The city of Cape Coral, Fla., holds the top ranking in its category for its impressive alignment between IT and the city's goals, but it has gone the extra mile by completing targeted projects. These include an agreement with Lee County to share a fiber backbone; design for a smart city streetscape system to attract visitors to the city; expanded GIS capabilities to support critical infrastructure improvements; and increased usage of the city's electronic permitting system from 23 percent to 70 percent. In addition, the city has added a cloud-based payment system that has made it easier to do business with Cape Coral. The city has also invested in technology that is now essential for urban communities of any size, not just big cities. Cape Coral has its own 311 call center, which provides a platform for delivering a range of services and to engage with citizens in new ways. Open data is another major component of Cape Coral's efforts to be more transparent. While there are many data sets that the public can review, the newest and most comprehensive is called Property Checkbook, which helps property owners see the cost of government services. If Winston-Salem were to have a theme to its IT strategies, it would be "relationships, partnerships and collaboration." This year marked the beginning of a five-year collaboration initiative with utilities to deploy a $50 million automated meter infrastructure system, as part of an Internet of Things effort to overhaul and upgrade a major city service. When it comes to partnerships, Winston-Salem has worked with the Sunlight Foundation to develop a meaningful and sustainable open data policy, and is working with Johns Hopkins University to assess, support and enhance the city's performance and accountability management program by leveraging the city's data. The city has created a broad and comprehensive mobile-first strategy that encompasses internal departments, such as engineering and zoning inspections, as well as facilities maintenance, building inspections and housing code enforcement. The result: more workers in the field with mobile devices and better workflows and task management. To support the growing complexity of its IT needs, Winston-Salem upped its training to help workers add new skill sets while consolidating more of the separate IT staffing within the IT department. Every IT staff person has received their own training program that includes cross-training as well as individualized training in new technology areas. Meanwhile, the city has completed the build-out of 100 miles of a fully redundant fiber network backbone that includes 25 percent of last-mile connections in place to city facilities. Following a strategic plan tightly aligned with the outlined goals of city leaders, the Norfolk Department of IT has taken on several big initiatives. In the past year, the city shook up its IT operations, moving marketing and communications into a separate department and realigning its leadership structure. It also transitioned from an employee classification system based on job titles to one based on skill sets, and re-examined its salary levels to ensure regional competitiveness. Meanwhile, Norfolk is in the midst of a plan to update its 12-year-old fiber-optic network, I-Net. The $4.1 million project, slated for completion in December 2017, should bring faster broadband and cost savings to the city. Norfolk is also planning on connecting the network to nearby jurisdictions' systems to support public safety collaboration and expand capacity. Norfolk, a low-lying city at the mouth of Chesapeake Bay, has provided multiple mobile-friendly apps for citizens to report storm damage and incidents and receive related alerts. The city also has a wide-ranging citizen engagement strategy that includes surveying public opinion through its Open Town Hall portal, dedicated social media staff, and a presence across most major social media platforms that includes information as well as question-answering and livestreaming video. Finally, Norfolk is in the midst of drafting a smart city strategic plan that calls for, among other things, an innovation district, improved traffic flow, supporting green energy and enhancing municipal decision-making. Bellevue has put a clear emphasis on thinking forward. Responding to a push for more innovation from the city manager, the city set up an interdepartmental team called “What’s Next Bellevue,” a quarter of which is IT Department staff, to encourage and fund innovative city work. That has led to technology demonstrations for different departments, big data pilot projects and groundwork for intelligent permitting, chatbots and augmented reality — and that's just for starters. The IT Department, working parallel to written city goals, has also developed a six-year smart city strategic plan emphasizing innovation with individual attention on areas such as transportation, utilities, police and fire. The city has also architected a system to support mobile devices, with a GIS data application available across departments. Smartphones and tablets help police detectives with investigations, fire crews with building floor plans and city inspectors with quickly logging results. In the past year, the city also launched a redesigned website complete with a new CMS, new user interface and overhauled search engine. It’s expanded the data sets available on its open data portal to 30 and has launched a public records center to help citizens find information related to the council’s activities. The city chairs the local Community Connectivity Consortium, which in the past year completed a ring of fiber-optic connectivity for 26 cities, hospitals, schools and universities in the area. Baton Rouge was selected in September 2017 by Bloomberg Philanthropies as a What Works City for its open data initiative, which achieved nationwide recognition. Bloomberg will work with the city to formulate an official open data policy to be adopted by the Metro Council. The city continues to move forward with new, data-related initiatives while also expanding on those already in place. For example, using data and GIS helped mitigate the devastating flooding of 2016. The city believes it is one of few municipalities in the state to provide tax roll and assessed property value data in tabular format. Baton Rouge was one of the first municipalities in the country to use open data vendor Socrata, providing residents with a user-friendly platform to glean information on what is happening in geographic areas surrounding homes, places of business and more. The information includes crime data, traffic incidents, permitting information and common 311 service issues. The city is also continuing its partnership with Waze through the Connected Citizens Program, where it is in the final stages of being able to share traffic-related data, including road closure information, in real time with GIS capabilities. The city also developed a new debris-removal, interactive mapping application after the 2016 flooding. The application allows residents to access debris collection records associated with individual addresses, as well as routes of debris removal crews. The city expanded police body cameras to the entire police force from just one district at a cost of $2.25 million. In the aftermath of the 2016 flooding, social media became critical as 911 call centers went down. The social media team responded by coordinating hundreds of search-and-rescue efforts. Scottsdale, Ariz., held steady in sixth place again this year, continuing to make strides in open, data-driven government through its partnership with What Works Cities, which includes close coordination with the Sunlight Foundation and Johns Hopkins University. Data sets on its open data portal correlate to the six strategic goals in the city’s general plan, approved by voters. An Open Data Leadership Team, including an assistant city manager and seven department heads, helps ensure the culture of transparency and openness by default permeates the organization. Scottsdale has a 10-year history of enabling the mobile productivity of its workforce, and offers a number of online services to its residents and businesses as well. Several email service requests are now united in a citywide tool, ScottsdaleEZ, that lets city staff quickly put together a feedback and inquiry form for city services as needs arise. A more mobile-friendly process for police-related public records requests is one example of a dramatic process improvement: A previous backlog that exceeded 10 weeks has been eliminated, with most inquiries now getting responses the same day. Scottsdale also boasts effective citizen engagement across Web and social media channels. Last year, the city’s YouTube videos were viewed nearly 160,000 times and it earned the distinction of the “Yelpiest city in America” through its close partnership with online review site Yelp. Modesto maintained its seventh-place ranking from last year, continuing to move forward in making city hall more transparent and responsive to residents. A beta open data portal offers an easy snapshot of the city through windows ranging from economic development, parks and recreation, human resources and more. Meanwhile, the city is exploring the creation of a YouTube channel as an effort to open council meetings to a wider online audience. Modesto continues to grow its online services through features like parks facility scheduling and new payment options and will soon deploy a business license registry system that includes online mill tax and business license registration. On the connectivity front, Modesto has downtown public Wi-Fi as well as a connection in city hall. Its Fiber Master Plan includes consideration of additional fiber saturation for the city. But its No. 1 priority for the coming year points to a common challenge: hiring and retaining skilled IT personnel. Staffing is followed closely by cybersecurity, and the city plans to upgrade staff training in the coming year. Tech innovation also ranks as a city priority, with a dedicated fund earmarked to encourage new ideas and experimentation. Tacoma is focused on building upon a handful of its foundational elements, including education, economic development and employment, and the city's IT department will have a hand in most of these efforts. Originally launched in 2013, Tacoma's open data portal, Results 253, now has nearly 150 data sets in areas such as crime reporting and permitting, and expects that number to grow to 200 by the end of 2017. The city upgraded its online utilities payment portal in July to enable online payments and scheduled payment options. Additionally, residents in the city's homeless shelter and senior facilities now have access to public Wi-Fi and Chromebooks. The city also deployed ZoomProspector to support economic development priorities. The application allows investors to research hundreds of neighborhood criteria to analyze possible project locations. Meanwhile, SizeUp, another business intelligence tool on the city's website, helps business owners see how they measure up against competition in their industry. Tacoma is among the 60 percent of cities in this year's survey that reports having a cyberinsurance policy. Acknowledging the growing threat landscape, officials report that they recently enhanced their cyberinsurance coverage from $3 million to $5 million. From tools that help residents find the information they need to mobility solutions that put city personnel in the places they need to be, Augusta depends on technology to enhance quality of life for its citizens. Despite the challenges of reduced state funding and the ever-increasing demands on local governments, the city is moving ahead in a strategic and measured way. Part of this effort involves partnerships that build on the community, like the U.S. Army Cyber Center of Excellence, which was announced earlier this year. In addition to being a single point of access for cybersecurity threat intelligence for the military, academia, business and government, the center also offers the opportunity to draw in businesses and the talent that comes with them. Making government accessible for residents is also clearly a priority for the local government. In addition to a 311 system, the city provides citizens with a host of ways to hold it accountable, like the open government portal CityWatch, the open financial portal Budget Watch, and the open data portal OpenDataAugusta. Looking to emerging technologies, Augusta is already leveraging the Internet of Things to monitor traffic patterns throughout the city and is adding smart thermostats with remote monitoring capabilities to new and renovated city buildings. Though artificial intelligence is not currently in use, the city is hopeful it will be able to use the technology to improve customer service through mobile applications as well as to track customer behavior for the purpose of improving city services. In 2017 Pasadena continued making progress toward IT, innovation and broadband infrastructure goals it has been pursuing, while at the same time starting new work to encourage increased citizen engagement via better data visualizations and more comprehensive digital services. In ongoing efforts, Pasadena made internal city operations more mobile-friendly yet again with exponential growth of field use for tablets and smartphones. Waste management staff, for example, no longer need to return to the office for new service requests, and instead are able to get them remotely, which lowers transportation costs. Work continues as well on a land management permitting system the city began last year. With a targeted launch of June 2018, it would put most city permitting services online. Pasadena is also in year three of a five-year fiber expansion project to improve broadband infrastructure, and it awarded grants for public Wi-Fi in five city parks. To provide better online services for residents, Pasadena redesigned its website to make finding information easier, and by using Wordpress reduced costs by more than 75 percent. The city's open data portal was also redesigned, and Pasadena continued leveraging academic resources: It is currently planning for another year of collaborating with the California Institute of Technology on a course in which students use city data to improve local government. Looking forward, one project of note is a prototype site to track community issues in the service of transparency and greater citizen involvement. In Alexandria, a city of more than 153,000, commitment to IT is reflected in its strategic plans, including $45 million in investments in IT during a 10-year Capital Improvement Program laid out in its Information Technology (IT) Plan. These include a $40,000 investment in an enterprise resource planning (ERP) system and a $5 million investment in municipal fiber in fiscal year 2018. Also through 2018, an updated strategic plan includes expanding the customer account and payment portal and implementing citywide broadband, now in the design phase. Also planned is a public-facing mobile app ready for soft launch that will let residents make requests to the city's customer relationship management (CRM), browse calendar listings and get real-time city news and emergency alerts. While Alexandria currently uses artificial intelligence (AI) in its mapping, it is planning to use AI to time traffic signals based on real-time load, with priority for public safety vehicles, and the city sees a significant role for the Internet of Things in its future. Alexandria is now undergoing a third-party assessment of its cybersecurity posture designed to ensure it complies with all National Institute of Standards and Technology (NIST) standards. Officials anticipate they'll implement policy and technology recommendations from that study during the next year. Alexandria also plans an expansion of its computer-assisted dispatch project by using GIS data to document responders' locations and statuses in real time. The city uses Facebook, Twitter and other social media platforms aggressively as part of its emergency preparedness, management and recovery to provide customers actionable information on recovery operations like snowplowing. Efforts in Hampton, Va., demonstrate a renewed commitment to citizen engagement and transparency. This year the City Council, and in turn the IT department, made connecting and communicating with residents a high priority. The city saw a dramatic uptick in social media usage, adding Instagram and Nextdoor to their existing accounts and increasing users by more than 50 percent. The newest feature, requested by the city manager and City Council, is For the Record, a website that gathers the most frequent citizen questions and provides answers through written text, short one-minute videos, and more. In the last year Hampton also created mobile apps for the city website, 311 Citizen Call Center, and Police and Sheriff’s Departments in an effort to promote two-way communication with residents. An overarching goal is to get more people involved and invested in the city's future. To enhance communications further, Hampton has collaborated with neighboring Newport News to install a fiber connection between the two cities. They are also in the process of creating a real-time crime center to monitor streets and events and eventually reduce crime. To further innovation, the city has created funding mechanisms for creative tech projects with long-standing innovation and technology funds. In the city of Lynchburg, technology plays a central role in addressing daily operations, as well as some of the city's biggest challenges. For example, reducing poverty, fixing aging infrastructure and developing the economy and workforce were identified as key priorities by the city council. To help address poverty, the city launched a website and paired it with GIS assets to map "food deserts," or areas where access to affordable food options is limited. The same is true for efforts to address aging infrastructure — GIS mapping is playing a central role in this battle. While the city is working to address these issues, the state has increased the responsibility on the municipality to provide social services, straining not only the services themselves, but the technology that supports them. The city has allocated additional funding for computers and is also making staff available for technical support. When it comes to mobility, Lynchburg has made significant strides to ensure that city staff have the tools they need to do their jobs. Public works staff now have smartphones and an in-house app for refuse collection. Finance and animal control also have an in-house app that helps streamline their daily work. Similarly, the fire department and emergency medical services (EMS) have been equipped with lifesaving connectivity and mobile devices to ensure better patient care in emergencies. GIS is also being used by the community development department to create a citywide inventory of vacant properties. Partnerships also play a significant role in Lynchburg's technological successes. To bring broadband service to parts of the city and its schools, the municipality has partnered with Lumos Networks and the schools to connect more than 80 locations. Looking ahead, the city sees an opportunity to partner with the state on the planning and implementation of Next-Generation 911. As for analytics and data-based decision-making, tools and practices have been integrated into the city's daily operations. Looking ahead, officials are working to determine where smart cities technologies play into their larger strategy. This process is under way with the development of the downtown master plan. A shifting population and changes to revenue streams has the city of Boulder carefully considering what the future of public service demands might look like. With taxable sales moving online and cutting into traditional funding streams, as well as national economic uncertainty, officials are putting tools in place to make the city not only responsive to citizen needs, but resilient as well. Part of being responsive is making sure city data is open and accessible to the public. The city also turns the practice inward, using its data to make its 18 departments more efficient and accountable. In January, Boulder named a chief innovation and analytics officer (CIAO), who is charged with aligning each department with self-identified internal performance metrics. Like other data within city stores, officials plan to make some of this information public. Boulder also looks beyond its borders for innovative opportunities and is involved in a number of shared-service partnerships. Among them, a community broadband working group; a regional computer-aided emergency dispatch/E-911 system; a state-of-the-art data center; and partnerships with What Works Cities and the Sunlight Foundation around data best practices, among others. When it comes to cybersecurity posture and resilience, Boulder has gone as far as to name a chief resiliency officer. In addition to creating a comprehensive plan that includes planning for cyberdisruptions, ongoing training and policy development are central to the city's security culture. Partnerships with county and state organizations allow city IT staff to stay abreast of developing threat trends. The Internet of Things plays a large role in a number of daily city functions — from traffic management to parking and irrigation, and Boulder's tech team is keeping a close eye on where artificial intelligence might benefit the city. The city is adamant about openness and transparency and shows it by livestreaming, recording and archiving all city council meetings and council committees using Granicus. The city also publishes the detailed budget every year, and the budget page allows citizens access to previous budgets and financial dashboards. The city provides a webpage dedicated to road conditions and clearing of streets during snow events. Available on the page is the annual snow plan, which outlines the type of response and the amount of time needed to clear streets, depending on the storm event. Another area of focus is the acceleration of the workforce and community to mobility. The city boasts more than 200 mobile devices, supporting every patrol car, as well as code inspectors, fire apparatuses, public works inspectors and water department supervisors. Over the last year, the city has added new tools to make the workforce even more mobile, including upgraded mobile data terminals in all ambulances. The 4G devices can connect to fire department dispatch and analytics software. This allows access to route mapping, logging of response times and other dispatch data. Water department field staff have iPads with 4G capabilities enabling staff to view detailed GIS-based water system maps and allowing them to submit notes and map corrections from the field. The crime mapping system used by police was also improved, allowing for enhanced information sharing. The former online system, RAIDS, was replaced by LexisNexis Community Crime Map. The city has embraced social media and as such is implementing a new Communications Plan to keep residents up to date on government happenings and events. Facebook Live events, Nextdoor threads and Twitter direct messages are all a part of the communications plan, and the city will use such platforms to measure the success of programs and messages through polls, engagement and other analytics. At the same time, the city consolidated many social media accounts in an effort to express a more unified message. In other communications efforts, the city recently added translation services on the city website in response to an increase in Spanish-speaking citizens. On the shared services front, the city police department has partnered with state law enforcement to share data and alerts. The police also partner with the Independence School District, sharing real-time access to security cameras. Another collaborative effort involves the city and three utilities (water, sewer and Power and Light), which share GIS data. Each agency has a separate GIS database and is transformed and shared through a single Esri system. To upgrade mobility in the field, the city recently updated the mobile devices used by the city sewer department, which now uses Android tablets instead of laptops. Roanoke made the top 10 again this year through continuing lean and efficient strategies, updating older and legacy systems, and exhibiting an enhanced focus on online resident services. Despite employee reductions and shouldering former state responsibilities, the city stood up the Office of Citizen Engagement to foster its connection to residents and added police staff to process data from new body cameras. Also in 2017 the City Council members established six key efficient, effective and transformative priorities supported by technology. Using Wirecast, Roanoke migrated streaming of City Council meetings from its website to Facebook Live in June, letting members view comments in real-time — and boosting viewership more than 400 percent. Currently, the city maintains more than 60 media pages with a combined following of more than double its nearly 100,000 population. Its main Facebook page reached more than 23 million users in 2016; received 2.9 million likes, comments and shares; and had more than 1.5 million video views. Among Roanoke's internal technology updates are a new permitting system that enables mobile real-time updates; upgrades to 911 computer-assisted dispatch to include a handheld option for responders in the field; and a multi-agency regional collaboration on high-speed broadband that will yield two dark-fiber networks for the city's libraries and public safety. Externally, the city launched a new mobile and Web app in June, Recycle Coach, which lets residents customize trash and recycling schedules and reminders. Tied for seventh place in last year's survey, Sugar Land, Texas, has climbed to fifth, buoyed by what judges recognized as solid decisions in IT. This year the city joined the Multi-State Information Sharing & Analysis Center (MS-ISAC), enhancing its cybersecurity posture, and also launched a newly redesigned website with simplified navigation options. Also newly arrived is the MySugarLand app, which is integrated with the city's computerized maintenance management system (CMMS) from Cityworks and lets residents report related concerns. Internally, staffers can now use the CMMS for airport, parks and utility water meter work orders — and access them on mobile devices. Staffers in public works and the treasury departments are now able to use mobile collectors' apps to gather data on everything from red light cameras to the tree inventory. This summer, Sugar Land launched the City Council Goal Measures Dashboard to let residents monitor the council's progress. The city plans to further expand its social media video offerings via a newly purchased production-quality livestreaming system, and it is incorporating drones as a production tool. Plus, for the first time this year, the city hosted several Town Hall and City Council meetings on Facebook Live. Every two years, Pueblo surveys its citizens about the municipal government, and from there, the IT Department finds city agencies that need help and figures out how to deliver it. After the 2016 survey, they focused on the police, setting up body and squad car cameras and video storage. They're also working to procure a new, next-generation 911 system and implement a solution that will allow police to access identification of people they've contacted in the field. IT has also been working to support mobility across departments. In the past year, the agency has taken on new mobile device management software, supporting more than 200 end users with secure connections, email, calendar and contacts. It offers GIS applications that help departments from planning to waste water complete work faster. They have also moved inspection forms from paper to digital and sped up the provisioning of Apple devices. The city is in the midst of implementing a new strategic, zero-trust approach to cybersecurity. After setting up a security committee in 2016, Westminster performed a risk analysis and tested controls to mitigate potential vulnerabilities. It has taken several steps since then, including deploying new malware detection software, putting in place multiple layers of vulnerability scanning and standing up a secured Wi-Fi network. In the coming year, the IT Department plans on updating security certificates and improving auditing. Collaboration is a persistent theme for the Westminster IT Department. Its staff works directly with the city council on the municipal strategic plan and then updates its own departmental plan accordingly. The IT director and mayor traveled together in November to a cybersecurity training event. Westminster has partnered with the state to save on some specific program costs, and has worked to share fiber and support IT projects in both counties it resides in. The fiber sharing project also gave the IT Department a pathway to setting up a data backup center 17 miles away in case of disaster. The city has a citizen engagement strategy that runs across websites, mobile apps and social media, and integrates components for easy sharing. The city posts in multiple languages on Facebook, Twitter, Nextdoor, Snapchat and Instagram, and uses those tools for both informing citizens and gathering their feedback. Westminster's IT Department has also worked to support the city's downtown development project, implementing software that saved the planning division's workers 40 percent of the time they spend reviewing development plans. As a result, the city issued 15 percent more permits than usual in the first month of the system's operation. Allen, Texas, makes its debut on the list of Digital Cities Survey winners this year due to investments in tech as a means for improving resident life as well as government security and efficiency. The city website's open government page allows citizens to search documents like the city budget and business' current health scores, and they can also use online forms to make public records requests and report issues. Internally, in 2017 the city strengthened its cybersecurity approach by instituting awareness training for employees, as well as launching Tableau-based software as a service to analyze city credit card transactions, creating a more secure environment. Allen has also deployed a mobile device policy for employees, including a BYOD program, making government work more accessible anytime, anywhere. In addition to participating in a countywide fiber-optic network, in the last year Allen deployed a microwave network across the city that offers increased connectivity across all city facilities, creating redundancy and improving coverage, and setting the stage for smart cities and Internet of Things initiatives, including an upcoming traffic management project. Columbia, Mo., puts citizens at the forefront, and under a directive from the city manager, all city staff are to make citizen requests their No. 1 priority in the interest of full transparency. This has led to a number of developments for the IT department, including the March launch of a cloud-based public records portal. As social equity is key to Columbia's strategic plan, IT has worked to close technology gaps for underserved groups. The Homes for Computers program provided 40 computers to lower-income homes with school-aged children in 2017. And for lower-income citizens whose only Internet access is a smartphone, 16 city websites are mobile-friendly and many purpose-built apps exist, such as CoMoGOV, Columbia's official app to conduct business with the city, and ColumbiaPD, allowing citizens to communicate easily with law enforcement. As part of a website redesign, in addition to being mobile-friendly, the city website will also be Americans with Disabilities Act (ADA)-compliant going forward. The city's public access channel streams city council and other public meetings, and this year the city installed equipment to make sure those broadcasts are accessible to people with disabilities, particularly those with hearing loss. Looking forward, Columbia will build upon the January 2017 launch of a new enterprise resource planning (ERP) system after one fiscal year by pursuing the use of big data and the creation of an open checkbook. With a population of 81,000, Brooklyn Park, Minn., barely edges into the second smallest population category, yet its data-driven philosophy is making a big impact on how the city is run. A major engagement initiative, Brooklyn Park 2025, is now under way, and many of the projects that come from the effort will be supported by city technology staff. The city keeps a close eye on its demographics, and caters outreach to its diverse population, using plain language and opting for visual media to complement written communications. Further evidence of the city's reliance on data can be found in its extensive use of GIS data, like in its Neighborhood Information app, which offers location-specific services to city residents. In the last 12 months, Brooklyn Park reports that more than 12 new maps and data sets have been added, and 4,400 people have used the map. Last year, Brooklyn Park reported multiple ransomware attacks and put renewed effort behind their cybersecurity program as a result, including focusing on employee training and upgrading security appliances to address the latest threats. They now use App Locker to address the ransomware risk, and are working diligently on remaining internal vulnerabilities identified in a recent intrusion assessment. Bloomington holds innovation in high regard, and having established an Innovation Task force in 2016, and creating a director of innovation position in early 2017, the city is moving forward with a number of initiatives. The city also established an internal Innovation Team and an Innovation Fund. Among the projects the Innovation Team is pursuing are employing IBM Watson language services to automatically transcribe meeting minutes and enhancing video communication, as well as the use of drones. Plus, the city's biggest public-private partnership, an initiative to install 14 miles of fiber-optic infrastructure downtown, could result in a $40 million to $60 million investment. The city's website has been redesigned with a mobile-first approach to ensure it is user-friendly and operational on a range of devices, as more than 50 percent of users interact with the site on mobile devices. A full-time digital communications specialist will manage all of the city's social media channels to ensure consistency in response times and engagement with the community. Bloomington has also partnered with an Indiana University graduate-level cybersecurity class to evaluate and make recommendations on the city's cybersecurity needs. These recommendations will be assessed in the coming months. Across the bay from San Francisco, San Leandro continues to work to take a data-driven approach to local government. The city has upgraded its 311 system with a mobile app, MySL, launched in January 2017. This enables citizens to report issues like broken sidewalks, potholes or park maintenance, and staff to quickly respond to the problems. The IT staff is also developing a new data analytics program to improve the design of recreation programs for the community based on how past programs have performed. San Leandro continues to benefit from its participation in the Startup in Residence (STiR) program. As part of the city's open data efforts, they are working with 2016 STiR startup LotaData to produce a geo-based dashboard with information related to GIS, finance, parks and recreation data, crime, and permit data. 2017 STiR companies Bexi and YoGov are helping to build a chatbot for the city library and develop a customized resident portal, respectively. In other areas, this year the IT Department helped the police department to complete an overhaul of its computer-aided dispatch and other support. San Leandro is also now working with Oakland to develop a bus-rapid-transit to connect the two cities. Plus, the city's Fiber Master Plan will address several areas of focus for smart city development, including lighting, traffic signals, parking, Wi-Fi, and commercial and residential broadband services. Tamarac, again taking first place in its population category this year, has moved to embrace the cloud more in the past year, migrating backup and recovery systems to the cloud and setting up Microsoft Office 365. Now it's standing up a performance measurement and financial transparency portal through a cloud vendor as well. The performance measurement initiative ties into a three-year budgeting process for the city, adopted recently, where it works department metrics, audits, goals and objectives into a long-term view of the city's spending needs. On the engagement front, Tamarac has signed up 16,000 out of 63,000 citizens for online communication streams such as news items, event bulletins, social media posts and text messages. For the long term, the city is looking to write a strategic plan with the help of a digital marketing firm. The city aims to offer all walk-in services online and is in the process of setting up a mobile app where citizens will also be able to access those services. That includes payments for utility accounts, business licenses and building permits. IT staff have struck up partnerships with several local cities, as well as the county sheriff's office, to share technology services, creating a more efficient system for those involved. Out of that system have come initiatives such as a police body-worn camera program and a lobbyist registration system shared between cities. The village of Pinehurst has a rigidly aligned set of cascading goals that tie the work of each department to the overall objectives of the city, and to ensure the system works it has taken up several tools. The village set up a financial transparency portal in the past year featuring graphics and demographic information for context, and is looking to set up department performance dashboards in the coming year. The village maintains an open forum for citizens to give feedback on issues. It also has a complaint management system paired with a mobile app that posts citizen service requests online. That complaint management system and the city's main website are both mobile-friendly. The village's IT staff also sets up mobile devices for police officers and council members. The village put a particular emphasis on citizen engagement in the last year, outlining an action plan that includes creating a communications specialist position, consolidating social media accounts and improving on internal processes. Pinehurst increased its followers across all social media platforms by about 70 percent last year, and is considering purchasing constituent relationship management software. Pinehurst has also set up several partnerships with its county, state and nearby municipalities to share technology efforts including police and fire systems, economic development, and data backup. Schaumburg is again the lone city from Illinois to rank in the Digital Cities Survey, finishing third, one spot up from last year. One of Chicago's largest suburbs, Schaumburg has been unaffected by Illinois' ongoing budget issues, but the city is prepared for reduced state funding, which could soon lead to a 1 percent reduction across departments, including IT. Meanwhile, Schaumburg has modernized systems and processes, both internal and public-facing. Internal upgrades included email encryption, secured file storage and modernized forms/waivers. The city added two positions to bridge gaps between IT and other departments, one as a business analyst and the other as a public safety tech expert/liaison, and it launched a customer lookup tool for service reps, billing clerks and 311 staff to quickly and efficiently locate customer data from multiple unrelated systems. Schaumburg's prolific in-house development staff built an all-in-one tool to improve communication and effectiveness during emergencies, thereby eliminating use of a third-party service, and it created and deployed a proprietary inventory control management app to track assets and automate output forms, eliminating paper copies, manual record management and other back-office tasks. The city also joined Cook County's effort to implement a regional cybersecurity dashboard. In public-facing progress, Schaumburg added a bids and proposals archive to its already comprehensive online financial transparency tools, and it deployed a text message archiving solution to create records of texts sent or received by city devices. Work is also under way to engage and educate residents through 360-degree interactive videos of public safety ride-alongs, fire/EMS in-vehicle rescues, tours of historic buildings and landmarks, and Septemberfest, the community's biggest festival. In Punta Gorda, Fla., technology plays an undeniable part in city operations and how the municipality interacts with its constituents. With the overarching goal of improving transparency and pushing out valuable data through regularly updated documents published on the city's updated website, Punta Gorda is also laying the groundwork for an open checkbook portal to allow citizens easy access to financial information. Analytics are used to track department spending and compare it against the city's strategic plan. In the near future, data analytics will also play into creating geospatial financial/project data sets. The Florida city has also embraced the benefits of mobile when it comes to city staff and mission-critical operations. For example, fire inspectors and canal maintenance crews are equipped with tools they need to report from the field via tablet or smartphone. This is helping city staff to more accurately input data on the fly, as well as ensuring maintenance and inspections are handled in a timely manner. While the city clearly embraces a mobile-forward policy, BYOD is restricted for security reasons. In terms of collaborations with neighboring jurisdictions, Punta Gorda's best relationship might be in its shared services agreement with the county around the Emergency Operations Center (EOC) and the county's GIS division. This partnership allows the city access to most of the county's GIS work as well as training, knowledge-sharing and, of course, mapping. The city is hoping to build a similar relationship with the state's Agency for State Technology in the coming months. Cybersecurity is also a top-of-mind issue for the municipality. In addition to training and internal phishing exercises, Punta Gorda is working to move tape archives to encrypted cloud locations. The city admits it is easy to get comfortable with the way things are, but the IT team is committed to innovating where it makes sense — rather than "change for change's sake." Some of these changes are coming in the form of automating city services through the Internet of Things (IoT), like streetlights and monitoring waste management needs. Artificial intelligence may also soon play in where it relates to infrastructure inspections. Allowing that citizens, business owners and visitors demand accountable government, Williamsburg developed a new initiative this year to replace its old, outdated, number-heavy monthly departmental operating reports with new Web-based reports. The new reports take static data sets and visualize them to mean something to the reader, adding context and imagery. Being a tourist town, Williamsburg is very conscious of having trash along the roadside. Residents were unsure of when their trash and recycling days were, so they'd leave their cans on the side of the road for days. It required code enforcement personnel to go to the homes, remove the cans and remind the owners or tenants of the requirements. So the city partnered with ReCollect, a company whose forte is using technology in refuse collection. The city uploaded its GIS-based trash and recycling routes to the ReCollect platform and created calendars for the week showing where pickups were for each address. Citizens enter an address and select from many ways to get a reminder, including email, phone call, text or Twitter. Reminders can also be sent to residents on pickup day. The city stresses access to information, and one of the ways it provides that access is through video, broadcasting city council and planning commission meetings via Facebook Live. The city believes in virtualization — it is 98 percent virtual in its server and application infrastructure. DeSoto considers itself a mobile-first community and for several years has prefaced any software or system purchase with the question, is it mobile-friendly? As a result, nearly every department can boast of being as mobile as possible. During the last year, a trash/recycling app was deployed, allowing residents to access their personalized pickup schedule, set reminders for themselves, and get information and tips about recycling. An Apple Volume Purchasing Program was added to the city's Enterprise Mobility Management system to help improve remote management, such as the trash/recycling program and the Parks and Recreation Department's mobile access to class schedules and its ability to enroll via mobile device. The Municipal Court also supports mobility, allowing for mobile payment of fines and offering "e-court," where defendants can meet with a judge via their mobile device without going to court. The court also texts reminders to defendants, including a payment plan, reminders of a due date, and reminders for defendants who are three days out from a court date and those whose cases are about to be issued a warrant. The city has excelled in sharing services with other jurisdictions and a local school district, collaborating on an animal shelter, 911 dispatch center and a jail. The city shares employees, including the emergency management coordinator, who coordinates preparation for four cities. During the last year, the city IT staff and fire department developed a simulated, regional training program called Flame Sim. The program allows firefighters from three cities to train together and develop standardized operating procedures. Ithaca, N.Y., up one spot from its eighth-place finish last year, is making strides on transparency, fueled by a desire on the part of Mayor Svante Myrick to push the city in a digital direction. Meetings of the common council are streamed, recorded and made available on demand. In another example, the city has vastly simplified its public records request process, saving 7,000 hours of staff time in one year while reducing response times for citizens. The city offers a mobile-responsive website and plans to add additional citizen services online — like dog licenses and disabled parking permits — that currently require a trip to City Hall. Mobile functionality is also on the rise for city staff, like police officers, firefighters and emergency response teams, who are now able to complete paperwork from connected devices in the field. When it comes to shared services, the city partners with Tompkins County on a number of projects, including an electronic records repository, application development and training. The two jurisdictions have also recently embarked on a new mass notification system project to ensure timely communication with residents in times of emergency. Marana, Ariz., holds steady in seventh place this year, no doubt in part due to its innovative community engagement efforts, on which the city's IT department has taken the lead. For example, in response to the information that about a quarter of the residents live about 10 miles from a full-service grocery store, the city IT agency led a "Feed the Need" campaign on its website that attracted more than 1,000 signatures, leading to large grocery chains taking notice. Marana also continues its efforts toward transparency with its performance dashboard, through which residents can track city finances via an open source Web dashboard, which makes searching for expenditure data, vendor payments and revenue data easily reachable. While for the last two years the city's My Marana mobile app has evolved from a simple 311 portal to a place to find social media feeds, GIS maps, employment opportunities, a platform for bill payment and other features, the city is now working on a series of apps to expand connection to citizens. The coding for the apps is all done in-house, and by creating a shared look and feel, the city will eventually be able to link all the apps together. Currently, in-house-created apps track highway construction, business openings and events. Another app currently in development would help pet owners locate lost pets. Palo Alto, located in the heart of Silicon Valley, has focused on several key initiatives to bolster its standing as a digital city. For example, the city was an early adopter of open data, launching its portal in 2012. Since then, Palo Alto has added a significant number of data sets, including information from the city’s 311 system; it also tracks application programming interface (API) usage to understand better how the software developer community is using city data. When it comes to infrastructure, Palo Alto spent the past year working on a fiber-to-the-premise and wireless network master plan, a collaborative effort between the city’s utility and IT departments. To enhance efficiency and operations, Palo Alto is pilot-testing an enterprise mobility suite that will give the city a stable and secure mobility solution that will address a range of sign-on and authentication issues. The city has also undertaken measures to improve cybersecurity overall, including the development of better cyberdefenses and a cyber command center that will enhance response efforts and help predict risks before anything occurs. Palo Alto has a comprehensive IT staff orientation and training strategy that has proven successful in retaining staff and boosting their skill levels. When it comes to innovation, the Silicon Valley city considers itself a progressive player in the smart cities space, including efforts to ascertain what data works and doesn’t work. Projects include smart lighting, digital kiosks and measuring air quality in key traffic corridors. On the west coast of Florida's peninsula, North Port is a small city with big plans. Building on its efforts last year to improve transparency, the city is harnessing social media as an important strategic tool. This year they added a fifth social media administrator to their staff, which has led to more social content and resident engagement, proven by a 39 percent increase in Facebook page likes since fall 2016. To accommodate a growing population, North Port is looking to bring as many services online for residents as possible, such as providing home inspections via Skype, and its customer relationship management system NorthReport, powered by SeeClickFix, allows residents to report concerns and ask questions via the city’s website or on their mobile devices. To improve resiliency, in 2017 North Port leased space in the Sarasota County data center to use for disaster recovery, and in 2018 they will be working on a proposal to put police department data and dispatch at that remote location as well. Also looking ahead, in 2018 City Hall will transition to fiber Internet and the city plans to launch an open data portal. The focus in Salem among elected officials is on a downtown revitalization plan that has been in development for years, bringing in new businesses, restaurants and living spaces. Part of the incentive there for new developers and businesses is a fiber connection provided by a municipal broadband authority Salem has formed by partnering with neighboring jurisdictions. Several smaller tech initiatives are also under way to support the downtown plan, including Internet of Things (IoT) sensors, smart lighting and mobile apps. Elsewhere, work is progressing to implement smart water and electric meters, giving the public a portal to view usage and get alerts about outages or leaks. In other public-facing progress, the city developed a new responsive website that allows citizens to report non-emergency issues, make FOIA requests, and to sign up for sports through parks and recreation. A new online system also displays agendas and municipal meeting minutes, while a new citizen transparency portal features a budget dashboard. The fiber network in Salem is, perhaps, the most noteworthy of the city's tech efforts. In addition to the broadband authority providing service to local businesses, the fiber network is connected to all of Salem's utility sites and municipal buildings, and its reach is steadily expanding.